Cocciufa C, Cerretti P, Matteucci G, Carpaneto GM (2011). Basic concepts and research activities at Italian forest sites of the Long Term Ecological Research network. iForest 4: 233-241. Italy entered the International Long Term Ecological Research Network (ILTER) in 2006, contributing a group of research sites in marine, freshwater and terrestrial ecosystems to the global network. Five forest sites are included in the Italian Network. They are representative of the main forest ecosystems in Italy and integrate 15 research stations managed by different institutes. Starting from LTER rationale and basic concepts, the first part of the paper reviews the status of LTER Italy forest sites, the strengths resulting from multidisciplinary expertise and site management, current activities and available datasets. Long term data series on key environmental parameters show the high scientific value of these sites, where monitoring and/or research is still ongoing. But two main LTER issues are currently arising in the international context: (1) overall consistency of datasets; (2) harmonization of sampling methods. For this reason, the second part of the paper investigates the suitability of Italian forest sites to address recommended long term research topics and ecological issues of global concern and to investigate the shift from in-site monitoring to cross-site cooperation and inter-site research. The value of consistent methodology in long-term environmental monitoring. Environmental Monitoring and Assessment 54 (3): 239-258. Biodiversity assessment and change. The challenge of appropriate methods. In: “Issues in environmental science and technology. Biodiversity under threat” (Hester RE, Harrison RM eds). The Royal Society of Chemistry, Cambridge ,UK, vol. 5, pp. 217-240. Piano di gestione della riserva naturale statale e sito natura 2000 “Bosco della Fontana”. Quaderni Conservazione Habitat 4, Cierre Ed., Verona, Italy, pp. 221. Techniques for re-establishment of dead wood for saproxylic fauna conservation. LIFE Nature project NAT/IT/ 99/6245 “Bosco della Fontana” (Mantova, Italy). Scientific report 2, Centro Nazionale per lo Studio e la Conservazione della Biodiversità Forestale di Verona - Bosco della Fontana, Gianluigi Arcari Ed., Mantova, Italy, pp. 112. Ricerche naturalistiche a Bosco della Fontana. Quaderni Conservazione Habitat 3, Cierre Ed., Verona, Italy, pp. 96. Survey on the spatio-temporal distribution of Tachinid flies using Malaise traps (Diptera, Tachinidae). In: “Invertebrati di una foresta della Pianura Padana. Bosco della Fontana. Secondo contributo” (Cerretti P, Hardersen S, Mason F, Nardi G, Tisato M, Zapparoli M eds). Conservazione Habitat Invertebrati 3, Cierre Ed., Verona, Italy, pp. 229-256. Estimation of leaf area index with the Li-Cor LAI 2000 in deciduous forests. Forest Ecology and Management 105 (1-3): 55-65. European forest types. Categories and types for sustainable forest management reporting and policy. Technical Report no. 9/2006, 2nd Edition, Copenhagen, Denmark. Aspects of biodiversity in selected forests ecosystems in Italy: status and changes over the period 1996-2003. Third report of the task force on integrated and combined (I & C) evaluation of the CONECOFOR programme. Annali Istituto Sperimentale per la Selvicoltura 30 (2): 112. Canopy analysis and dynamics of a floodplain forest. Scientific report 3, Centro nazionale per lo studio e la conservazione della biodiversità forestale di Verona - Bosco della Fontana, Cierre Ed., Verona, Italy, pp. 96. ILTER Strategic Plan. Environment & Enterprise Strategies, LLC, USA. Forest dynamics, SILVI-STAR: a comprehensive monitoring system. Springer, Berlin, Heidelberg, New York, pp. 229. Long-term studies in ecology. Springer-Verlag, New York, USA. Adaptive monitoring: a new paradigm for long-term research and monitoring. Trends in Ecology and Evolution 24 (9): 482-486. Towards a consistency cross-check of eddy covariance flux based and biometric estimates of ecosystem carbon balance. Global Biogeochemical Cycles 23: GB3009. Long-term datasets in biodiversity research and monitoring: assessing change in ecological communities through time. Trends in Ecology and Evolution 25 (10): 574-582. Dinamica di una foresta della pianura Padana. Primo contributo, monitoraggio 1995. Rapporti scientifici 1, Centro Nazionale per lo Studio e la Conservazione della Biodiversità Forestale di Verona - Bosco della Fontana, Gianluigi Arcari Ed., Mantova, Italy, pp. 208. Proceedings of the International Symposium “Dead wood: a key to biodiversity” (Mason F, Nardi G, Tisato M eds). Mantova (Italy), 29-31 May 2003. Sherwood 95 (2): 99. LTER Europe criteria and recommendations. LTER Europe Report. The UK Environmental Change Network: emerging trends in the composition of plant and animal communities and the physical environment. Biological Conservation 142 (12): 2814-2832. Ricerche ecologiche di lungo periodo (LTER) nella riserva forestale della Valbona (Paneveggio, TN). In: “Atti del Terzo Congresso Nazionale di Selvicoltura” (Ciancio O ed). Taormina (ME - Italy), 16-19 October 2008. Accademia Italiana di Scienze Forestali, Firenze, Italy, pp. 558-562. Forests: elements of silvology. Springer-Verlag, New York, Berlin, Heidelberg, pp. 624. Towards a long-term integrated monitoring programme in Europe: network design in theory and practice. Environmental Monitoring and Assessment 78 (3): 253-290. Qualitative research and evaluation methods (3rd edn.). Thousand oaks, Sage Publications, CA, USA. Accessible ecology: synthesis of the long, deep, and broad. Trends in Ecology and Evolution 25 (10): 592-601. The CONECOFOR programme: general presentation, aims and coordination. In: “Long term ecological research in Italian forest ecosystems” (Mosello R, Petriccione B, Marchetto A eds). Journal of Limnology 61 (1) 3-11. Un indicatore dello stato della biodiversità delle foreste europee. In: “Atti del Terzo Congresso Nazionale di Selvicoltura” (Ciancio O ed). Taormina (ME- Italy) 16-19 October 2008. Accademia Italiana di Scienze Forestali, Firenze, Italy, pp. 240-242. Gli effetti dei cambiamenti climatici sugli ecosistemi forestali. In: “Atti del Terzo Congresso Nazionale di Selvicoltura” (Ciancio O ed). Taormina (ME - Italy) 16-19 October 2008. Accademia Italiana di Scienze Forestali, Firenze, Italy, pp. 570-574. Long-term ecological research. An international perspective. John Wiley and Sons, Chichester, New York, Brisbane, Toronto, Singapore. Ecological evaluation in alpine forest ecosystems by integrated monitoring. Studi Trentini di Scienze Naturali, Acta Biologica 81 (1): 31-40. Ecologia strutturale e funzionale di faggete italiane. Edagricole, Bologna, Italy, pp. 133-183. Tree biomass, growth and nutrient pools. In: “Carbon and nitrogen cycling in european forest Ecosystems” (Schulze ED ed). Ecological Studies 142, Springer Verlag, Heidelberg, Germany, pp 49-62. Comparisons of δ13C of photosynthetic products and ecosystem respiratory CO2 and their responses to seasonal climate variability. Oecologia 140 (2): 340-351. Long-term ecological questions and considerations for taking long-term measurements: lessons from the LTER and FIFE programs on Tallgrass Prairie. In: “Long-term ecological research. An international perspective” (Risser PG ed). John Wiley and Sons, Chichester, New York, Brisbane, Toronto, Singapore. Composition and stratification of a tachinid (Diptera: Tachinidae) parasitoid community in a European temperate plain forest. Insect Conservation and Diversity [early online]. Long term ecological studies: an illustrated account of their design, operation and importance to ecology. Occasional Pubblication no. 2, Institute of Ecosystem Study, Millbrook, New York, USA, pp. 38. The United Kingdom environmental change network. Protocol for standard measurements at terrestrial sites. The Stationery Office, Natural Environment Research Council, London, UK, pp. 219. Ecological census techniques: a handbook. Cambridge University Press, Cambridge, UK. The state of the art for LTER activities in Europe. ALTER-Net WP I3 Report, Department of Systemic Ecology, University of Bucharest, Romania. 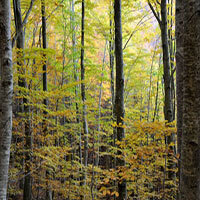 Seasonal net carbon dioxide exchange of a beech forest with the atmosphere. Global Change Biology 2 (3): 199-207. Respiration as the main determinant of carbon balance in European forests. Nature 404 (6780): 861-865.